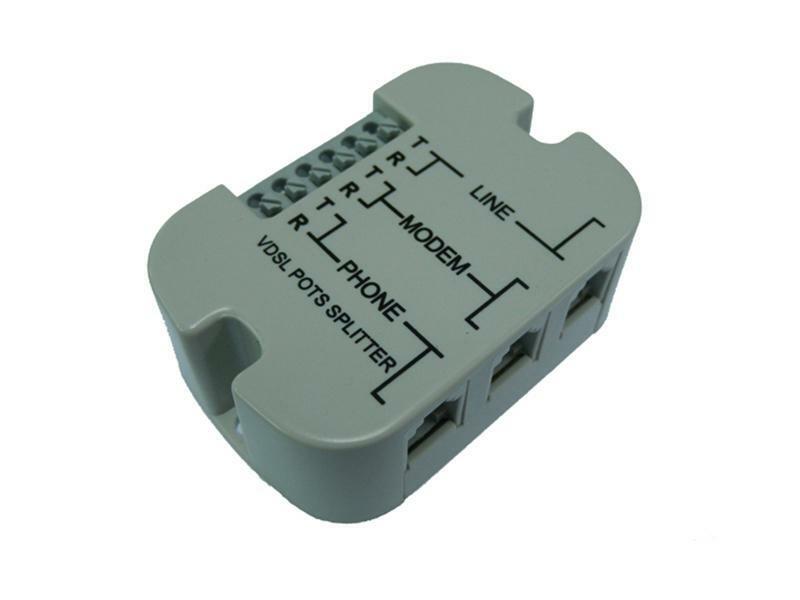 The FX-US04 1 female to 2 female in-line DSL filter splitter uses three US standard RJ11 sockets, and it is suitable for America, China, Portugal and other countries. 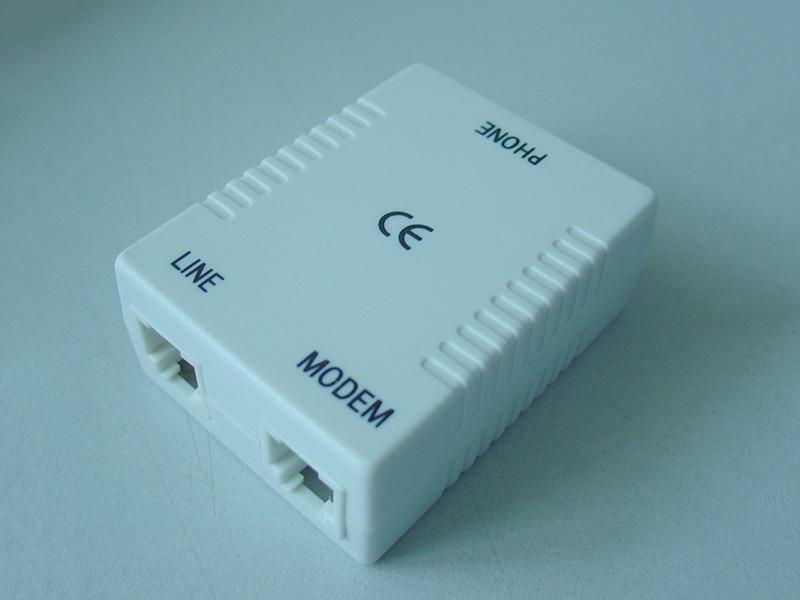 Connect the DSL modem to the RJ11 socket of in-line DSL filter splitter which marked "MODEM" or computer symbol. 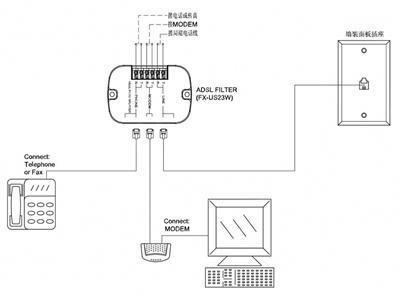 The FX-US04K 1 female to 2 female in-line DSL filter splitter uses three US standard RJ11 sockets, and it is suitable for America, China, Portugal and other countries. 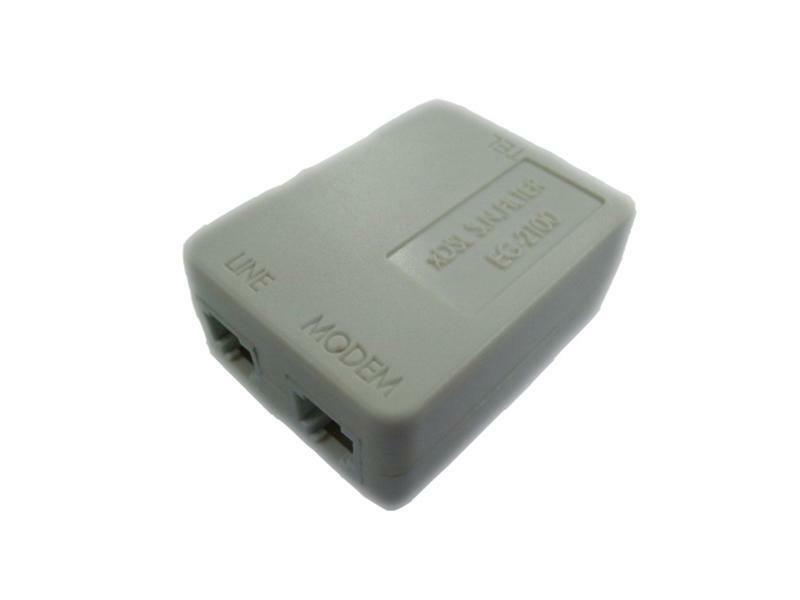 The FX-US04M 1 female to 2 female in-line DSL filter splitter uses three US standard RJ11 sockets, and it is suitable for America, China, Brazil and other countries. 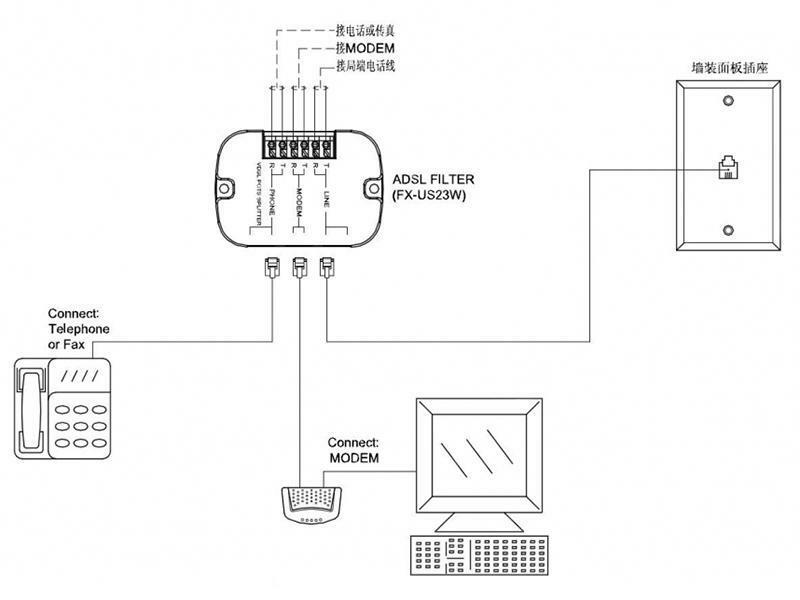 The FX-US23W 1 female to 2 female in-line DSL filter splitter uses three US standard RJ11 sockets, and it is suitable for America, China, Israel and other countries. 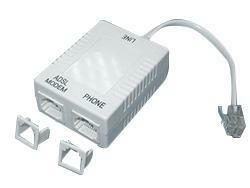 Connect in-line DSL filter splitter's "LINE" socket to the telephone wall jack. 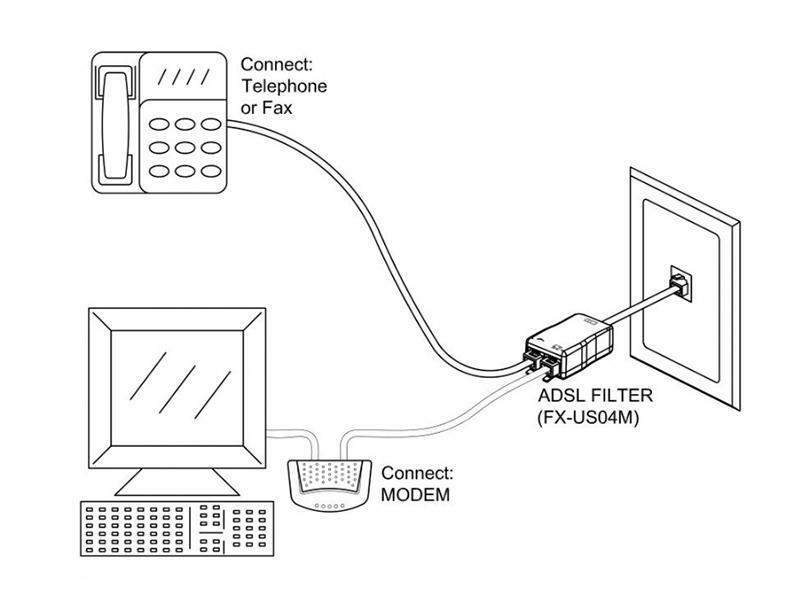 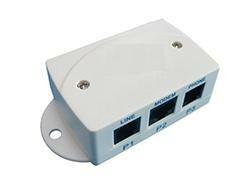 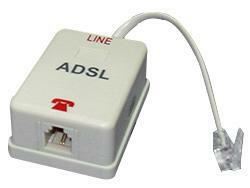 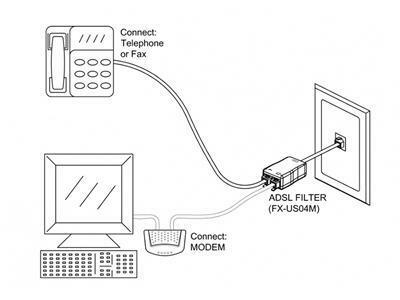 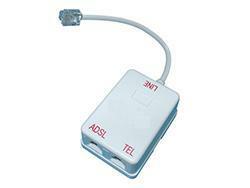 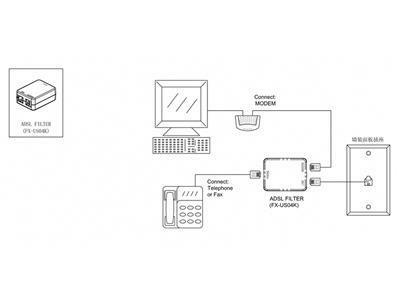  Connect the telephone line to the socket of ADSL filter splitter which marked "PHONE" or phone symbol. 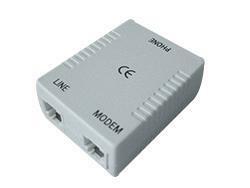  Connect the DSL modem to the RJ11 socket of in-line DSL filter splitter which marked "MODEM" or computer symbol. 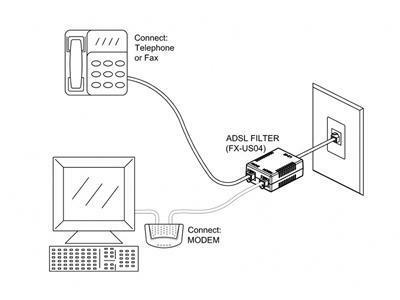 An alternative installation method: If you don't have RJ11 cable to connect the three sockets. 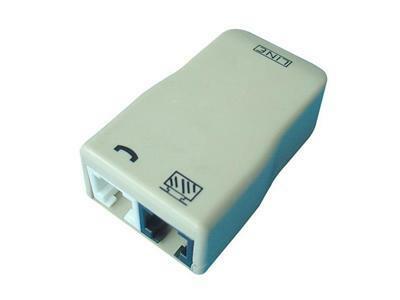 You can directly connect the relative wires to the internal screw free terminals at the rear side. 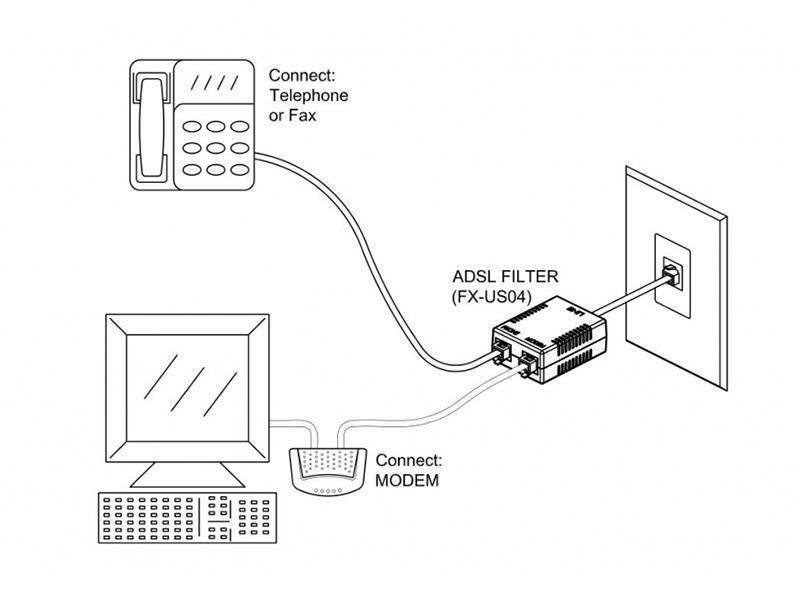 The corresponding locations is shown as upper left corner.